PETX Group is a Houston-based worldwide oilfield service provider as well as a Petroleum equipment supplier of a wide range of US and China products and equipment. Faced with an increasingly competitive global marketplace, PETX aims to sustain its high growth rate by creating a culture of quality. Furthermore, quality controls as well as strong communication channels will be maintained due to their critical point to the supply chain management. The company is poised to become a competitive supplier of a wide range including petroleum and oil field equipment and Oil field services. PETX has access to many professional engineers in the oilfield who had previously served Halliburton, Schlumberger and Shell in senior positions. Backed by a knowledgeable staff providing sales and services, we pride ourselves on being able to supply our valued customers with the highest quality products and service available. Our objective is to help our clients create significant and sustainable value in terms of both cost and quality in their procurement by leveraging the capabilities of the vast supply chain .The company boasts a creative, resourceful and talented sourcing network globally. 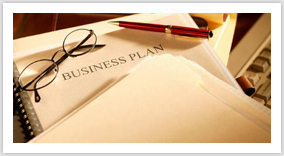 Our main business scope for the United States and South America. PETX has established sales and service channels in the United States, Colombia, Venezuela, Brazil, Peru, Mexico, Argentina and other countries. PETX company will give full play to the technological strengths generous, smooth sales channels, product development and diversification of the advantages of comprehensive services and dedication to cooperate fully with all the friends and common development. It is a company with strong technical strength, mainly engaged in the petroleum, petrochemical products, providing integrated oilfield services, has extensive experience in international market development and customer resources of oil and gas fields of the integrated companies. Drilling Rigs, Workover Rigs, Cementing Equipment, Fracturing Equipment, Coiled Tubing Unit, Snobbing Unit, Coal Bed Methane Unit, High pressure manifolds. BOP, Mud pump, wellhead tools, etc. 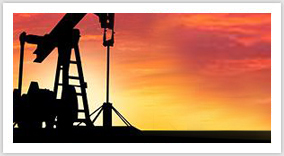 PETX has established sales and service channels in the United States, Colombia, Venezuela, Brazil, Peru, Mexico, Argentina and other countries and also successfully entered Suppliers Lists for many major and bigger drilling contractor and oil companies in US and South American. 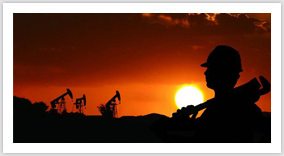 PETX Provide comprehensive integrated oilfield services. The principal activities of geology, oil production, geophysical prospecting, perforating service, logging, completion, directional and horizontal wells technology and self-operation block by our professional technical term. PETX has the professional term of geologists and oil/gas international business experts who specialized in acquisition, exploration and development of oil natural gas and minerals primarily in Texas USA, Gulf of Mexico, Colombia, Argentina and Trinidad.